With a passion for music from 1988 to 1996, you already know that the debut album from London based singer songwriter Rod Thomas (otherwise known as Bright Light Bright Light) is going to be something special. 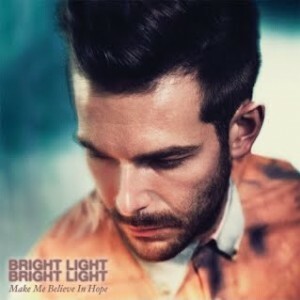 Bright Light Bright Light has already been championed by some of the most respected authorities in pop (Arjan Writes, Popjustice), but has also drawn acclaim from the usually more serious, pop-phobic press like NME. All are singing his poptastic praises, as too is auspOp reader Mark, who thought it imperative that we make mention of the impending release. Bright Light Bright Light’s debut album is called ‘Make Me Believe In Love’ and it’s being released on Monday. Featuring eleven tracks, the LP showcases that passion for glittering pop music from the late ’80s and early ’90s, including the latest single ‘A New Word To Say’ (video below). And being gloriously independent, the album will also be released through our local iTunes store. It available for pre-order now and you can preview it HERE.